I’ve thought for a long time that human sexuality was fluid, that there were a nearly infinite number of forms. Much of that thought was based on information from Alfred Kinsey’s landmark studies back in the 60s, Sexual Behavior in the Human Male and Sexual Behavior in the Human Female. A new study has made me rethink that concept. 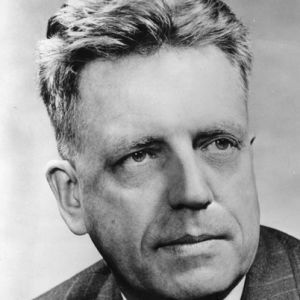 Kinsey and his colleagues conducted an enormous number of interviews and individual studies—more than 17,000, in fact. His work was both hailed as a new psychological benchmark in human sexuality as well as derided for its rather unconventional research techniques. In any case, Kinsey described a rather linear spectrum of sexuality, with exclusively heterosexual at one end, exclusively homosexual at the other, and a fluid baseline of varying bisexual responses. A recent study by researchers at the University of Washington, however, indicates a more categorical model. The researchers studied behaviors of 33,000 individuals. The results indicated that a model of distinct categories suits the understanding of sexuality better than does Kinsey’s spectrum model. In the category model, individuals may be said to belong to one of a number of categories. The category with the greatest number of people is—no surprise there—heterosexuals. Just 3 percent of males and 2.7 percent of females were found to be gay, lesbian, or bisexual. The researchers did describe some fluidity within the categories, but for the most part sexuality was seen as rather static. Basically we heterosexuals are pretty much the same. One category, lots and lots of people. That doesn’t mean we should put any more labels on people than they already have; it just means that diversity rules the day. Fluidity, not so much.